It’s finally here! After a long, dark winter and the snowiest February on record here in the Seattle-area, we are so excited that spring has finally sprung! Time for bright colors, lighter layers and a new beginning for our handmade wardrobe. To celebrate the arrival of the new season, we are excited to unveil our spring collection of fabrics. 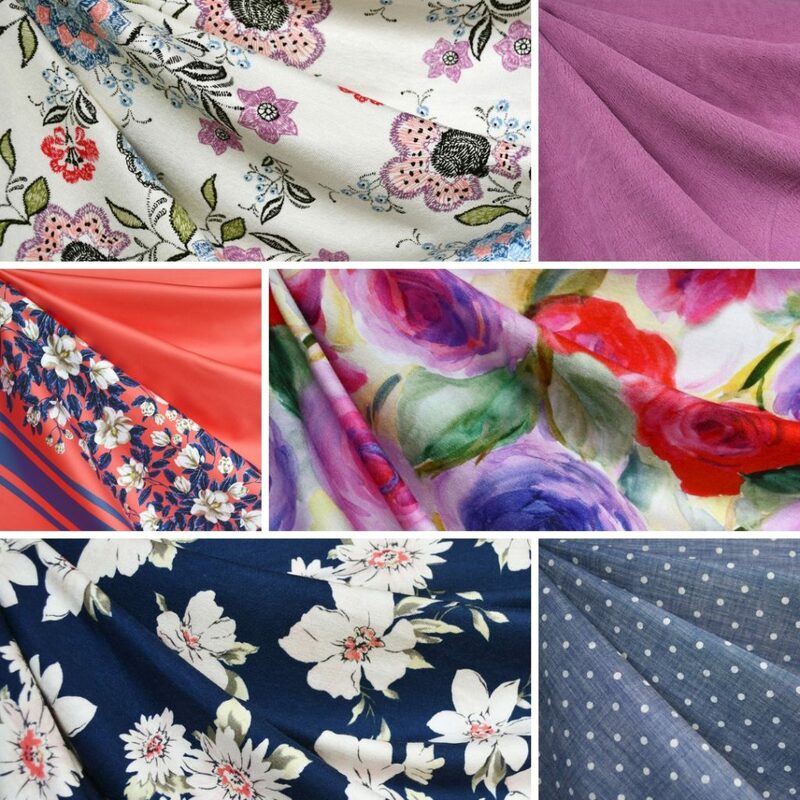 Chock full of color, our latest collection is just what we need to add some freshness and life to our sewing. It includes an amazing range of florals (from the very realistic to the more abstract), unique geometrics, and a few fun conversational prints. Also, find a wide assortment of fabric types you will love this spring/summer—cotton lawns, linens, jerseys tencel twills and more. We source fabrics from all over to create our seasonal releases, finding hidden away treasures in warehouses of deadstock fabrics and pairing them with some reorderable staples you know and love. We never know what form the collection will take when we start and love to see it come together as everything starts arriving. Let’s take a closer look! Coral is definitely on its way to being the color of the season. Pantone made “Living Coral” the color of 2019 and we fully back this decision! Available in a wide range of shades and tones from pastel to bold, find the hue that suits you and your style. Drawing inspiration from a famous designer known for her unique color palette, we love all the sherbet hues and colorful prints we found this spring. Bordering on neon with a splash of the tropical lifestyle, we hope you find these fabrics “Pulitzer Worthy”! 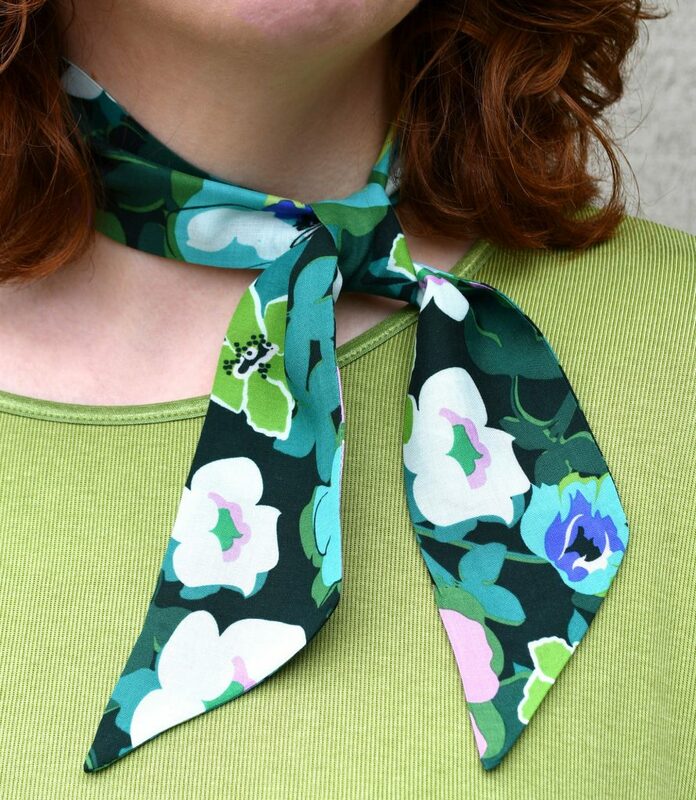 Lindsey, of Inside the Hem, is back for her biannual swatch video! She got a preview of the new collection and is giving you a closer look at each one along with her first impressions and some ideas on how you might use them. Be sure and grab a pen and paper so you can start making your wishlist! 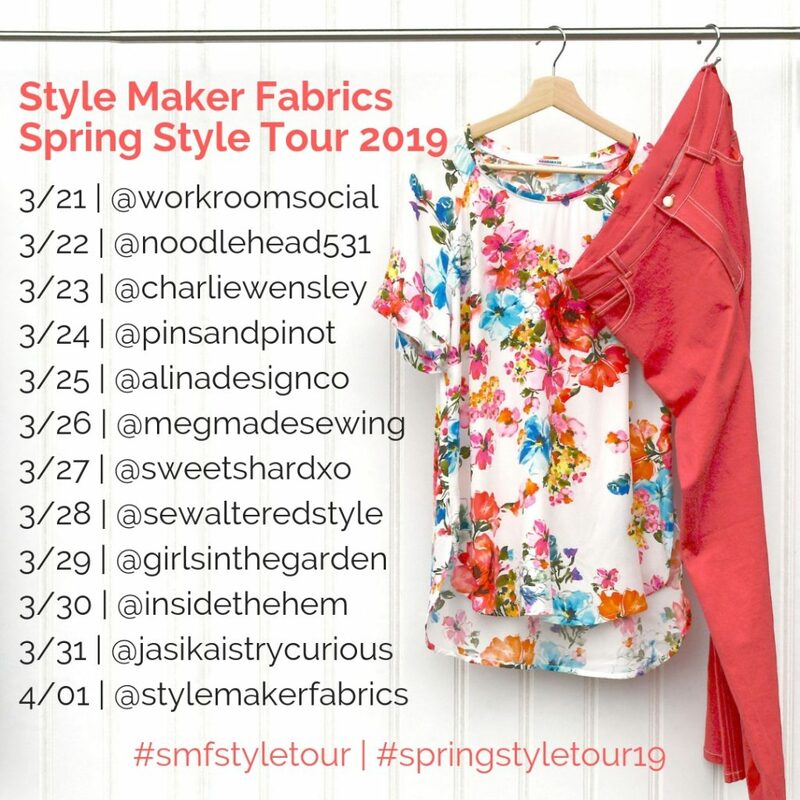 To help keep the inspiration going, over the next two weeks, follow along with us on our Spring Style Tour! We have an amazing group of seamstresses this spring and we can’t wait to see what they created using some of the new fabrics. Jennifer from Workroom Social will be kicking things off and we will round out the tour on April 1st (no fooling!). Check out the full schedule below, along with links to each stop! Last but not least! Enjoy $5 US shipping on all orders placed now thru Monday, April 1st. Any order, any size ships for just $5. International orders will also receive a special discounted rate. As a special treat, orders placed during our Spring Style Tour will receive a FREE pattern for a spring scarf, while supplies last. We hope you enjoy our spring launch festivities and find some fabrics you love in our latest collection. Cheers to an amazing new season of sewing! Michelle, which fabric is the t-shirt made from shown in the 2019 tour promo? Thanks! It is the Coram Top made out of this rayon poplin, https://stylemakerfabrics.com/products/bright-watercolor-floral-rayon-poplin-white-pink. Such a beautiful fabric for spring! hi Michelle, I can not find post for 21 of March. When I push on 3/21 it’s going straight to Workroomsocial , but I don’t see Style Maker post there,can you please help? thank you,Yanina. Check out Jennifer’s “Cherry Dress” story highlight on the @workroomsocial Instagram account. She had a slightly different type post and it is in video form. You can also find her finished dress on our Instagram page as well as hers. Hope that helps! Also, on any of the fabrics that there are multiple colors, you can used the small colored dots to navigate between them. Hover over the dot to see the color name or click on the dot to visit that product page.